Amosite: Mineral information, data and localities. Acronym of Asbestos Mines of South Africa. 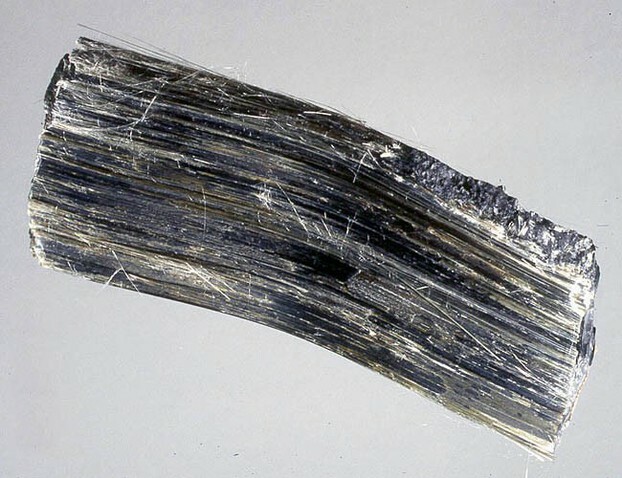 A fibrous variety of Grunerite. The name has also been used to refer to other asbestiform amphibole materials, such as Cummingtonite. 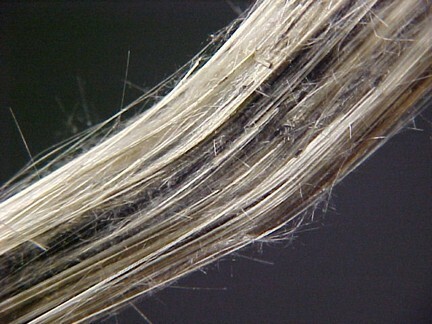 According to http://en.wikipedia.org/wiki/Asbestos Amosite (CAS No. 12172-73-5) is a trade name for the amphiboles belonging to the cummingtonite-grunerite solid solution series, commonly from South Africa, named as an acronym from Asbestos Mines of South Africa. Not to be confused with Amesite. Magnetite 1 photo of Amosite associated with Magnetite on mindat.org. Amosite asbestos has been banned in the UK and many other countries as the fibres and dust can cause serious lung conditions if inhaled. 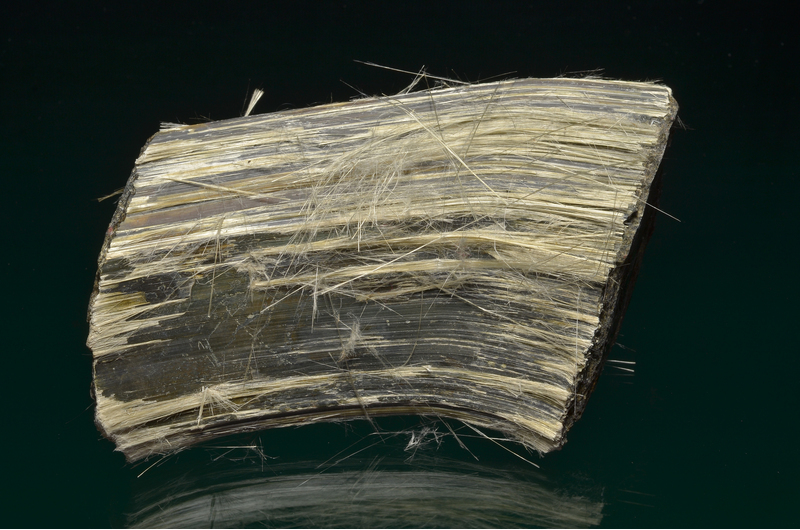 Any handling of material containing amosite asbestos should be done only by those who are trained and properly equipped in its handling and disposal. Collectors who have small samples of Amosite or other asbestos minerals are advised to keep them in sealed plastic boxes where they are, of course, perfectly safe. MIYANO, T. and. BEUKES, J. (1997): Mineralogy and Petrology of the Contact Metamorphosed Amphibole Asbestos-bearing Penge Iron Formation, Eastern Transvaal, South Africa.- Journal of Petrology, Vol. 38 , n° 5, pp 651–676.